This thorough and multidisciplinary overview of childrearing illustrates and stands on two foundational principles: that the importance of parenting is immense, and that it is undervalued. The Critical Role of Parenting in Human Development surprises readers with the realization that the way we were parented in childhood impacts nearly every aspect of our lives. Based in part on cutting-edge research using MRI and fMRI technologies demonstrating that the brains of those traumatized in childhood are essentially different, the book explains that our brain development during our earliest years and in the womb is fundamental to the lives we lead. It covers attachment theory, the impact of corporal punishment on the brain, the effects of emotional abuse and neglect, and the widespread nature of Posttraumatic Stress Disorder, describing the process that leads to the transmission of parenting patterns through the generations and explaining how resulting personal issues recur throughout the lifespan. 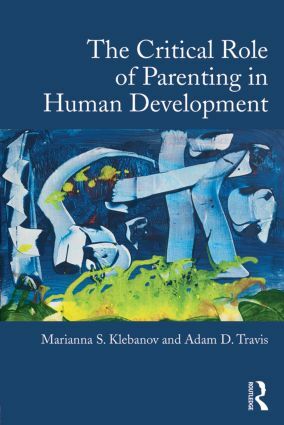 The Critical Role of Parenting in Human Development also examines laws and policies that impact parenting in our culture, making a case for their importance, and describes the effect of childrearing on various aspects of human life, including relationships, crime and violence, economics, mental and physical health, addiction, education, and career issues, among others. Interdisciplinary in nature, this book is a much-needed resource for professionals and students in the psychology, psychotherapy, social work, and related mental health and child welfare fields. "This book is essential reading for anyone who advocates for, works with, or seeks to improve their knowledge of children and the issues of parenting and child development. Klebanov and Travis demonstrate how modern medical assessments reveal the impact of child abuse on the brain, creating physical, emotional, intellectual and even economic issues that last a lifetime. The authors make the case for using the medical evidence they have thoughtfully compiled and analyzed to re-visit our policies, laws and social discourse around childrearing, for the critical benefit of current and future generations." --Anna Ranieri, PhD, MFT, Psychotherapist, Co-author of How Can I Help? What You Can (and Can’t) Do to Counsel a Friend, Colleague or Family Member With a Problem. Marianna S. Klebanov, J.D., is an attorney, writer, and policy advocate, working in the field of child welfare, parenting advocacy, and mental health for troubled families. Adam D. Travis, M.D., Ph.D., is a psychiatrist interested in brain development and its effect on cognition and behavior. He serves as Chief of the Department of Psychiatry at Northern California Kaiser, Greater Southern Alameda Area.